The most unique photo booths you will likely find. Quality, variety and performance that doesn't go unnoticed. Service is provided by the Professional Award Winning McNeilly Photography Studio. We are licenced and insured, covering most of Michigan for over 30 years from our downtown Grand Ledge MI Studio. We custom built our photo booths to produce not only a photo strip, but to create a unique keepsake memento or your event. On this site you can Order Individual keepsake Photos, cards. puzzles etc.... Our Photo Booth Downloads and Orders are accessible by clicking on the folders below. We are building this site bigger and better as we continue to add portfolios of our finished and updated work. Latest News: Our photos are different and our time together is special. Our clients value these keepsakes and wanted more....Here it is..... With many of our Newest events there MAY be TWO folders, to check out. One for free strip download and the other is for our new online keepsake ordering service. 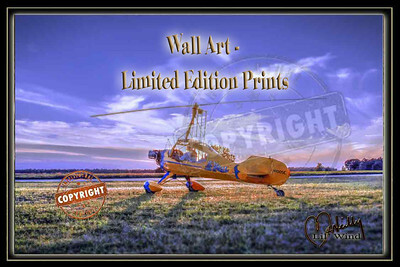 You may now order Collectible Prints/Gifts and Keepsakes from your special event....Registering will help you mark your favorites and make ordering easier. 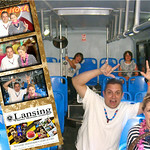 Lansingphotobooth.com & GrandRapidsPhotobooth.com is serviced by McNeilly Photography Studio based in downtown Grand Ledge MI for over 30 years. 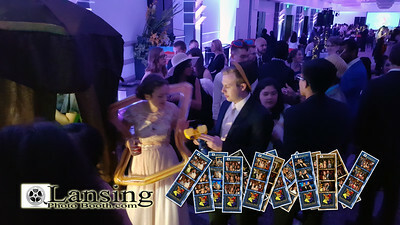 If you are using a phone our smaller website is www.lansingphotobooth.info We know events like yours are important and the time we spend together making keepsakes is special. 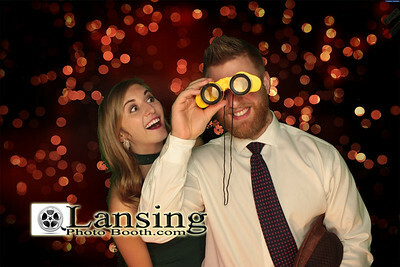 We built these cool Photo booths with the idea that we will service the greater Lansing, Grand Rapids and surrounding areas to provide you with something unique and special. We urge you to compare what you have found in other Photo Booths. There is an obvious huge difference regarding our High Quality Images, Guest choices, variety, creativity and product which has truly crated a unique booth. As a result, this has also created demand for us to travel. Look at the quality, the difference is clear.... We believe it is worth it - even if you have to "import" us.... Don't miss out on the opportunity to share something very special with your guests. The variety of choices, quality, lighting, and product is exciting and fresh. If you are going to do this, you might as well choose quality and variety for your special events. We now are able to provide Online Print and Keepsake items optionally from your event. Whether you choose our cruise or portrait themes, you have the option to order larger keepsakes of individual images. This means individual larger prints, photo mugs, metallic prints, luggage tags etc.... 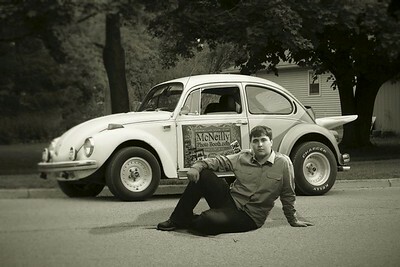 This is a unique new service offered by McNeilly Photography Studio in Grand Ledge, Michigan. Our "Special" and "White Lace" Wedding Booths include, for a limited time, a Unique 20 x 24 Keepsake collage print made from the photos taken in the photo booth. We offer packages with up to 18 guest selectable themed photo strips so they won't all look the same. We are Definitely not one of those low quality bundled DJ booths. Don't miss out on your chance to have some special images created, something you did not know was possible, til now. For over 30 years we have served the greater Lansing and Grand Rapids, Michigan area with award winning quality professional photography. Our Photographer has earned a Photography Degree and has used his experience and the determination to provide the best possible results we built our own photo booths. We are proud to show our events for comparison. With the variety of up to 18 backgrounds for guests to choose from, we know this really is sure to be a hit. 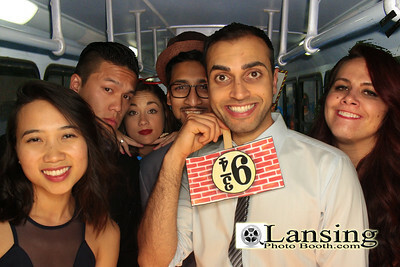 Guests love the keepsake photo and will be thanking you for a long time after the party is done. While our competitors all seem to claim to be the best - I would simply ask you to compare. Look at the images - there is a huge difference - Even if they can't see it. We are betting you can. We aren't a home based operation. We are professional studio having served over 30 years in a commercial building in downtown Grand Ledge, MI. We have earned over 16 Photographic Awards and our photographer actually has earned a Photographic Degree. This gives you the confidence that an actual established business location brings as well as the option to call or and set up an appointment to meet at our Studio. We are excited with the opportunity to be able to enhance your event and make some memories. In addition, this is our current site that is currently being improved to showcase Portrait Previews for our clients as well as Our New Art Collection Wall Prints from James T. McNeilly. 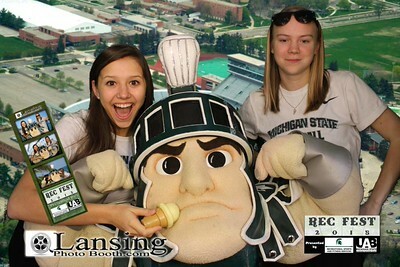 Print Ordering can be accomplished within our photo booth event folder. For more details and pricing information feel free to visit our www.lansingphotobooth.com Currently The Artwork is being categorized and prepped for viewing and purchase. 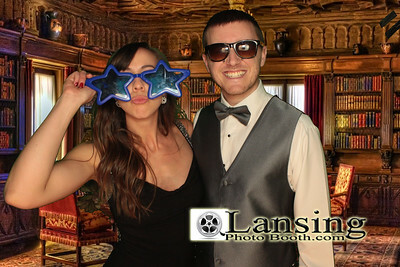 Feel free to visit our www.lansingphotobooth.com For more details and pricing information. Also note that we are now able to offer finished images and Keepsakes such as coffee mugs from the individual items. Newer events will have 2 folders to look through. One folder will contain the free downloadable photo strips and the other will contain individual photos with varied backgrounds for you to select from for purchase of custom keepsakes. We will try to keep them near each other to make them easier to see. There is typically MANY images to sort through to find the ones of interest to you. By registering you are able to mark your fav's and it will remember these for you. 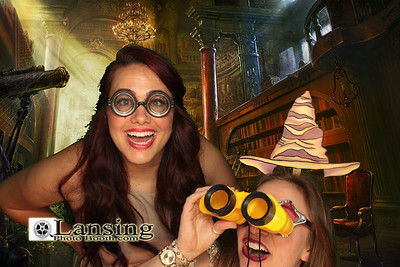 The images are better than most photo booths out there and the variety is amazing. We hope you enjoy your visit and are able to find something especially unique for a gift or perhaps just to remember your day.